The workplace is quickly changing, as are the leaders in it. By the year 2025, 75 percent of the workplace will be comprised of the millennial generation, many of whom will be called on for key leadership roles. But as quickly as the workplace has changed, so have the tools needed to make a difference in it. 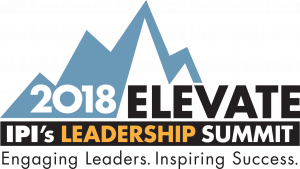 Join us to discuss the required essentials for emerging leaders to survive and thrive in the workplace. Email is a routine form of communication. This type of correspondence also has some inherent weaknesses, allowing even the simplest message to be misunderstood. This presentation outlines a strategy and techniques to communicate effectively even in challenging circumstances. Loaded with real-world parking examples from Baylor University this presentation is loaded with effective takeaways for the real world. Do you want to be a force of excellence? Are you engaged in your industry and want to advance it, yourself and /or your organization? Are you interested in identifying or becoming an internal champion? Then this is a session for you! This session will offer a look at the return on investment of becoming and hiring a CAPP. Requirements, as well as the process of becoming and remaining a CAPP, are illustrated through a case study. If you’ve ever been asked to influence peers across your organization or those above the “pay grade,” to gain approval, make a decision or finish a project, then join us to learn the strategies and tactics that ensure you can meet your objectives when working with others! This highly interactive session will discuss the balance between data (what we know) and emotion (how we feel) to speed read others to adapt our interpersonal communication style and be heard every time we engage with others. You’ll leave the session with a fresh list of best practices that will empower you to persuade others to not just see your point of view, but buy in and play a meaningful role toward common goal achievement. Oh! And we’ll have a bit of fun along the way. Attaining high employee engagement has become one of the most important ambitions of today’s leadership and why shouldn’t it be. The high cost of disengagement is intuitively reduced productivity but disengagement also results in a higher cost, engaged employees seek workplace happiness elsewhere. Employee engagement is an emotional commitment and fostering a comfortable and engaging workplace environment is easier than you might think. Learn how Cornell Transportation Services successfully applied a bottom-up advisory approach to “leading the leaders.” People embrace a world they create. These days, we are always on–anyone can get a hold of us at any time, on any device, right? We’ve all been there: stressed out, tired and wondering how we’re going to continue to make it all work. Your staff and employees are feeling the same. This session takes a look at our “always on” society and how we as leaders, can put some of that aside, set realistic expectations for ourselves and our teams, and plan success in both our personal and our work lives. It’s all about finding balance. Let’s talk about how to do just that. Accredited Parking Organization (APO) is a designation for parking organizations that have achieved a comprehensive standard of excellence. APO establishes a quality benchmark by which a parking management organization conducts its business and maintains its facilities and services. The workshop will cover the fundamentals of the program, including an explanation of required criteria, best practices for submittals, and more. This four-hour course will prepare organizations for APO and give attendees the next steps required to pursue accreditation. Companies want to be competitive. Yet, most companies are cutting back on innovation and creativity, focusing on cost-cutting, people cutting and project cutting. This program is designed to provoke thought about the extent to which creativity supports project and business success. Participants learn how to tap into a team’s collective power of innovation to improve morale, reduce project risks and turn limited resources into renewable energy – all enhancing business outcomes. When leadership is done right, the leader is a role model–someone who communicates the importance of ethical standards and holds their team accountable to those standards. Done poorly, leadership can negatively affect the productivity and well-being of individual team members and be detrimental to the reputation and success of the entire organization. Anyone can be promoted to a supervisory or management role, but how do you develop the skill set necessary to be an ethical leader? This session will clearly define the concepts and characteristics of ethical leadership, why it matters, and offer practical ideas to help ensure your success. For those that love to read or… those that feel reading an entire book is slightly overrated. This presentation overviews a select group of books with a parking management perspective. Get the essential highlights of 11 great leadership books that span from Leading a Team, Selling Ideas, Managing Projects, Serving Customers and Developing Yourself. With an emphasis on practical application, this presentation ensures everyone leaves with at least one new managerial nugget. Readers and non-readers alike will likely add a title to their ‘to read’ list. An avalanche of emails. Too many meetings. Competing deadlines. Conflicting personalities. Managing projects in an increasingly complicated and ambiguous world is highly complex and extremely stressful. Bridging the latest advances in neuroscience with the study of high performance, this session will help you work smarter, be more focused and productive, stay cool under pressure, and perhaps help you live longer. Challenging economic times have created a landscape in which finance professionals must do more with less while delivering better results. Think beyond finance to the big-picture and organization-wide concerns. Learn how to make better strategic financial decisions, build strategic partnerships with key stakeholders, and develop a more effective leadership style to help lead your organization through growth. Gain a deeper understanding of the importance of aligning finance with strategy and leadership.